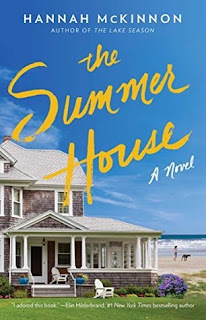 Goodreads says, "When Flossy Merrill summons her children to the beloved family beach house to celebrate their father’s eightieth birthday, both cherished memories and long-kept secrets come to light in this charming and lyrical novel from the author of The Lake Season and Mystic Summer. Flossy Merrill has managed to—somewhat begrudgingly—gather her three ungrateful grown children from their dysfunctional lives for a summer reunion at the family’s Rhode Island beach house. Clementine, her youngest child and a young mother of two small children, has caused Flossy the most worry after enduring a tragically life-altering year. But Samuel and his partner Evan are not far behind in their ability to alarm: their prospective adoption search has just taken a heart-wrenching turn. Only Paige, the eldest of the headstrong Merrill clan, is her usual self: arriving precisely on time with her well-adapted teens. Little does her family know that she, too, is facing personal struggles of her own. No matter. With her family finally congregated under one seaside roof, Flossy is determined to steer her family back on course even as she prepares to reveal the fate of the summer house that everyone has thus far taken for granted: she’s selling it. 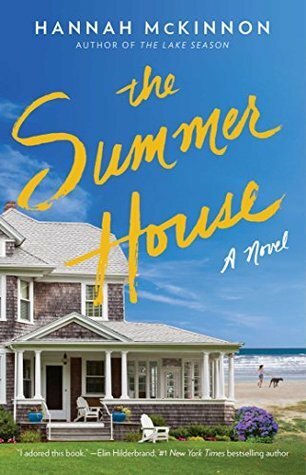 The Merrill children are both shocked and outraged and each returns to memories of their childhoods at their once beloved summer house—the house where they have not only grown up, but from which they have grown away. With each lost in their respective heartaches, Clementine, Samuel, and Paige will be forced to reconsider what really matters before they all say goodbye to a house that not only defined their summers, but, ultimately, the ways in which they define themselves. Featuring McKinnon’s “sharp and evocative” (Kirkus Reviews) voice, this warm-hearted novel is perfect for fans of Elin Hilderbrand and Mary Alice Monroe." Flossy Merrill would love to have her family spend some time all under the same roof at their beach house, just like the good old days. What better to get them there than to celebrate their father's 80th birthday? Her three children and their families come, some more willing than others, and along with them come their problems, some larger than others. There's Clementine, the youngest Merrill, who had two little ones and is just coming out of a very, very upsetting year. Then there's Samuel and his partner who are in the process of adopting, but learning that some things don't always work out easily. Lastly, there's Paige, the oldest Merrill, and the most stubborn. She is a micro-manager and she appears to have it all together, but, well, doesn't. Managing her two teens has proven to be tough along with her unemployed husband and her growing veterinary practice. The Merrill children come together and personalities collide, secrets are unearthed, and family bonds are forged. Where better to do this than at their beloved Rhode Island beach house? Hannah McKinnon's The Summer House really tugged on my heart strings. 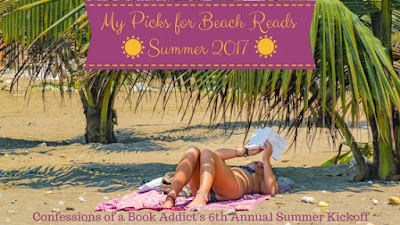 I loved this beach read and the Merrill family. Clementine's story truly made me sympathize with her in The Summer House . As a mother to two little ones, I could understand her struggles with the day-to-day grind, but what cards life throws her is definitely very upsetting. She had to deal with life-altering circumstances and when she returns to her family's beach house, she is still working through all of that. Of course her family is worried about her, but hopefully the salt air will help her heal. I was rooting for her from the get-go. I really loved the character of Samuel in The Summer House . He's a complex character that is in no way perfect, but I loved his relationship with his partner, Evan. Their struggles with adoption felt truly real and I think McKinnon captured the ups and downs well. Paige's story also really tugged on my heartstrings, because she is trying so hard to keep it all together for her family as a working mother, but is struggling. I think many mothers today can relate to Paige and the pull to be everything to everyone. Plus, raising two teenagers is no easy feat. Her relationship with her husband is on the rocks since his layoff and they aren't really communicating well. Combine all of these different personalities as well as problems into the mix, and you've got yourself an interesting family vacation. To top it off, Flossy knows deep down that they need to sell the beloved beach house, so she just wants one happy week before they must say goodbye to it forever. McKinnon captures beach life so very well in The Summer House . Her descriptions of the bonfires, the hot days by the ocean, the starry-night skies, and the simple moments in a house by the ocean are spot on. Her descriptions took me back to my own summers and family vacations. I truly loved "living" at the Merril's house and couldn't wait to pick up the book again. So, if you are looking for a beach read that will tug on your heartstrings, has a lot of family drama and beautiful descriptions of a beach house and beach living, you must check out The Summer House . It's my favorite of McKinnon's novels and it's one of my favorite novels of the year. Nice review! I'm glad you liked this one but I just couldn't get into it for some reason. I think if the story had been told solely from Clem's point of view I might have liked it more. I ended up not finishing it but maybe someday I'll pick it up again. I'm so sorry it didn't work for you. I am such a beach bum, so I could really connect to it. I agree that Clem's story was the most interesting for sure, but I loved the whole Merrill family. Thanks for visiting, Christina! I love that the novel resonated with you in some level. Motherhood is like that. This sounds like a truly touching novel! Yes, totally! I am definitely relating to more and more mothers in books now. Thanks for visiting, Joy!